The proposed amendments to rules under Section 79 of the Information Technology (IT) Act make it mandatory for online platforms to “proactively” deploy technology, which would enable a ferreting of content seen as “unlawful”. The insertion of a new Rule 3(4) activates a pro-active monthly notification across intermediaries to warn users repeatedly. Rule 3(5), which will introduce a “traceability requirement”, will in effect require a platform to break end-to-end encryption and introduce systems for retaining data and information specific to each bit of data, including WhatsApp messages. The five-page draft rules were discussed Friday by an official of the Ministry of Electronics and Information Technology (MeitY) with others from the Cyber Law Division, and representatives of Google, Facebook, WhatsApp, Amazon, Yahoo, Twitter, ShareChat, SEBI and The Internet Service Providers Association of India. The Indian Express has learnt that the “confidential” meeting lasted just over an hour. There has been no public discussion yet on the key changes discussed, and online platforms have been given time till January 7 to respond to the draft proposals. The proposed changes would mean that social media platforms with more than “50 lakh users” would be liable to help the government “within 72 hours” of a query. They would be expected to appoint a ‘Nodal person of Contact.for 24X7 coordination with law enforcement agencies and officers to ensure compliance”. The draft amendments envisage that online platforms will keep a record of “unlawful activity” for a period of “180 days”, double the 90 days in the older version. Sources said the government is keen to be seen to be acting before the general elections on the proliferation of social media and its connection to mob violence seen in the recent past. “The draft rules have been shared with us, and we will issue a detailed analysis. But on the face of it, they seem to be contemplating pro-active censorship and breaking encryption with traceability. They will make the Internet a corporal environment damaging the fundamental rights of users,” said Apar Gupta, lawyer and co-founder of The Internet Freedom Foundation. “All these proposals are being discussed secretly without any public consultation. I worry that the recent government measures are taking us very close to a Chinese model of censorship,” he said. When contacted, N N Kaul, Communications Coordinator (MeitY), said he had “no knowledge of such a meeting having been held”. On July 26, during a Calling Attention Motion on “Rising incidents of violence and lynching in the country due to misuse of social media platforms”, he told Rajya Sabha that it was the “responsibility, accountability and larger commitment to ensure that its platform is not misused on a large scale to spread incorrect facts projected as news and designed to instigate people to commit crime”. 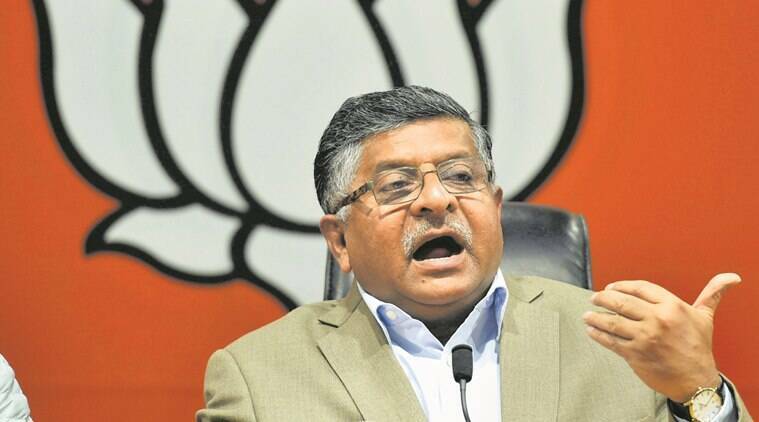 Prasad said that “if they do not take adequate and prompt action, then the law of abetment also applies to them”.